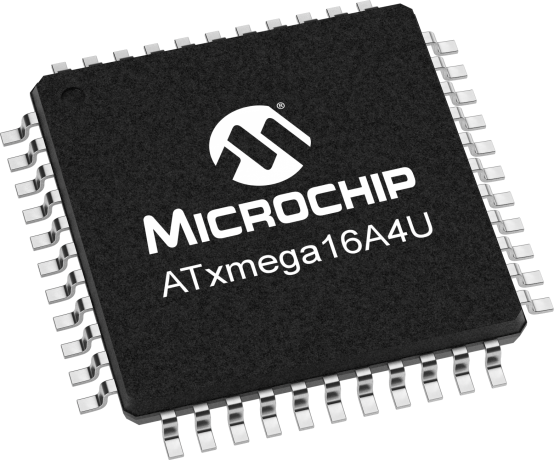 Low power, high performance 8/16-bit AVR microcontroller featuring 16KB self-programming flash program memory, 4KB boot code section, 2KB SRAM, 1024-Byte EEPROM, external bus interface, 4-channel DMA controller, 8-channel event system, and up to 32 MIPS throughput at 32MHz. The AVR XMEGA A4U series features 44-pin packages. The device can be used in a wide range of applications, such as building, industrial, motor, board, and climate control; hand-held battery applications; factory automation; power tools; HVAC; networking, metering, large home appliances, and optical and medical devices. The XMEGA A1U Xplained Pro evaluation kit is ideal for evaluation and prototyping with the ATxmega128A1U microcontroller. Extension boards to the XMEGA A1U Xplained Pro can be purchased individually. The ATXMEGAA1U-XPRO evaluation kit does not include extension boards. For compatible Xplained Pro extension board please see the Related Tools tab.